McFarlane Toys‘ new gaming line Color Tops will be releasing a new action figure featuring the Mass Effect Andromeda character Scott Ryder! Color Tops will be releasing this 7-inch figure featuring the Scott, who happens to be the other half of the Ryder siblings who will be the new protagonists for the new adventures with the Mass Effect universe. The other half, Sarah Ryder, has yet to make an appearance as a statue or a figure for collectors. We do know that Mass Effect Andromeda will come with a variety of goodies with the various Mass Effect Andromeda game bundles already announced last week. 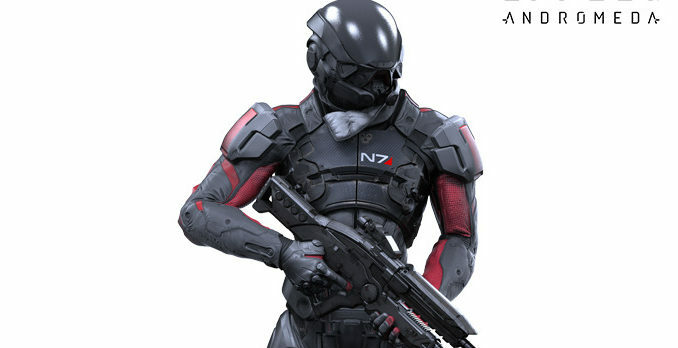 The Color Tops Mass Effect Andromeda Scott Ryder will come with the N7 armor and carries an Avenger AAX5 assault rifle and while it isn’t confirmed at the moment, the price would be at around $20 if we’re to believe Gamespot. We’ll give you guys a holler if learn more about this line and this figure.